Folk ontology seems baroque, compared to the austere ontology of many philosophers. 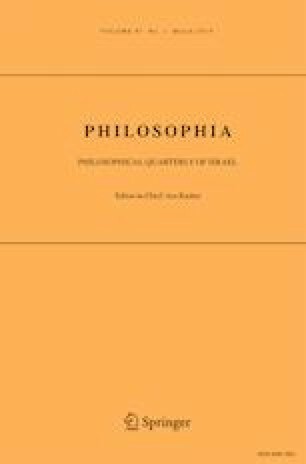 Plausibly, the issue comes down to a choice between existence concepts: the folk and the austere philosophers employ different quantifier meanings. This paper aims to clarify and defend this hypothesis and explore its upshots. How do we choose between the alternative existence concepts; is the austere philosophers’ concept better than the folk’s (or the folksy philosophers’) undiscriminating one? I will argue that contrary to what Ted Sider suggests, the austere existence concept and the corresponding austere answers to existence questions do not prevail in the context of “inquiry”, i.e. the context of practically disinterested pursuit of epistemic excellence. Sider’s suggestion relies on a one-sided idea of epistemic excellence, as beliefs’ conforming to the world. Once we recognize another epistemic aim, namely the agent understanding connections between known facts, ordinary objects will be back in the game. I thank Daniel Cohnitz, the audience of the PhD seminar at the University of Tartu, and an anonymous reviewer for their comments on previous versions of this article. This research has been supported by the Centre of Excellence in Estonian Studies (European Union, European Regional Development Fund) and is related to research project IUT20-5 (Estonian Ministry of Education and Research). This research has also been supported by the University of Tartu ASTRA Project PER ASPERA, financed by the European Regional Development Fund.